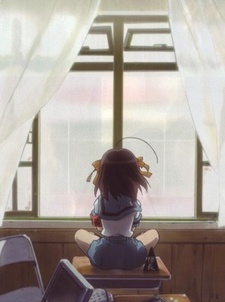 The new episodes of the "2nd season" of Haruhi Suzumiya aired in chronological order along with the re-airing of The Melancholy of Haruhi Suzumiya 2006 in what is called according to Kyoto Animation: The Melancholy of Haruhi Suzumiya 2009. This page only includes the new episodes that didn't air in the first season. The Endless Eight arc may be the worst arc in any television series I've ever watched.